The new Citroen Berlingo Electric van will make its UK debut this month. 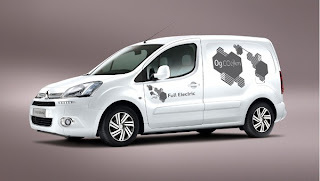 The all-electric Berlingo van will go on sale in the UK later this year, and builds upon Citroen’s first electric van market experience, gained with the first generation Berlingo Electrique van that was for sale between 1998 and 2005. 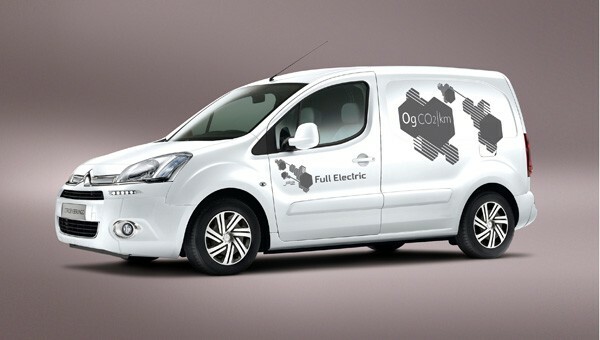 Citroen has decided to launch the new Berlingo Electric to target the transport requirements of specific sectors. They expect local authorities to use electric vans for a range of council applications, but also demand is expected to come from urban-based private sector businesses. The new Citroen Berlingo Electric uses the latest electric vehicle technology. An advanced permanent magnet synchronous 49 kW electric motor is powered by a 22.5 kWh lithium-ion battery pack, that gives the electric van zero emission driving range of up to 106 miles, according to official NEDC testing. The van will have a top speed of 69 mph. Using a domestic power point, the Berlingo Electric can be fully charged in around 12 hours. Alternatively, it can be charged to 80% of its capacity in around 35 minutes using a specific 380V 3-phase terminal in quick charge mode. The load space of the van has not been reduced by battery or other electric component intrusion, meaning that the Berlingo remains a practical solution for a working van. The electric motor is positioned under the bonnet and the lithium-ion batteries are underneath the load deck. The load compartment remains 3.3 cubic meters in volume and 1.8 meters in length, with a payload of 636kg. During decelerating and braking, the electric van recovers energy and replenished the battery, with the electric motor acting as a generator. The dashboard includes a number of features specific to electric vehicles, including Eco-driving information, an energy consumption/regeneration indicator, an instantaneous energy consumption gauge and an auxiliaries consumption gauge. These allow the driver to understand exactly what energy the van is using at any given time. When the battery charge falls to 20% of its total useable capacity, a warning light comes on and the power sent to the heating and air conditioning systems is gradually reduced. Then, when the battery charge level further falls to 10% of the total useable capacity, a “tortoise” light comes on – the power supply is limited and the air conditioning and heating systems are turned off to extend the vehicle's range. Pricing will start at £21,300 +VAT, full specification and pricing details of the Berlingo Electric will be announced nearer to its UK on-sale date.